I'am looking to buy a Tripod mount for my 15 x 80 Steiner Binoculars. Do you sell them? The photos of the M1580 show some sort of an attachment part about 15cm connecting the binoculars to the tripod ball head. &nbsp;What is that attachment? &nbsp;Is it something standard that I can easily find at camera stores? Please visit www.steiner.de to locate a dealer near you. Sir: What is the thread size for the tripod mount adapter for the M1580? Thank you. Regarding the same question yesterday, I am not talking the tripod mount that comes with the package. &nbsp;I have a tripod mount with my 1580C. &nbsp;The device on your photos are much longer and bigger. &nbsp;They are like 6 to 8 inches long. &nbsp;Do you see it? can I order parts for these, I just need the rubber part where you rest your eye? Hello, These feature our Sports Auto Focus system. 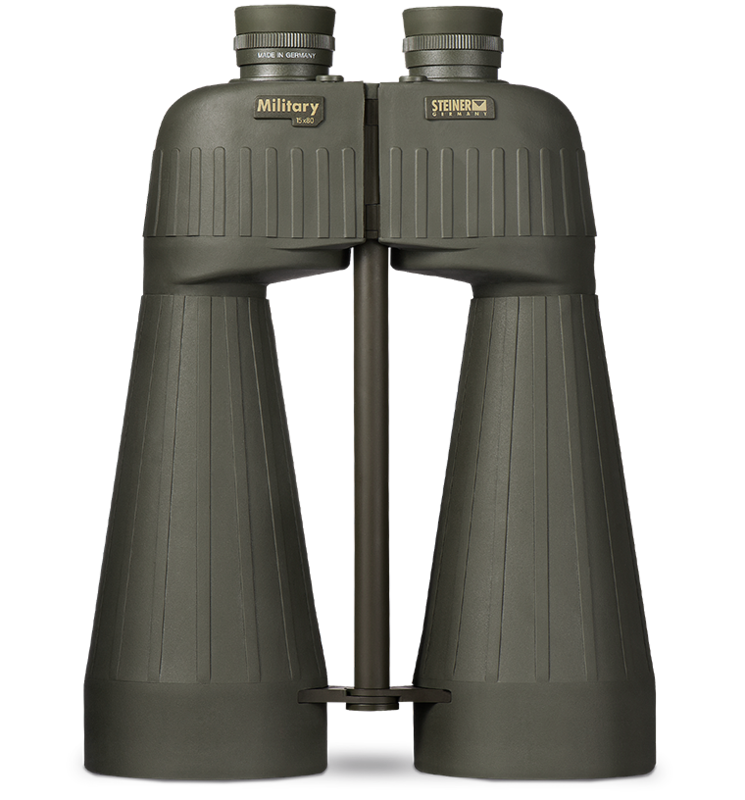 Simply set each eyepiece individually and there is no need for a fine focus. They come ready to mount onto a tripod. I had found a pair at home that says they were made in West Germany, I was wondering if there is any record of these being made in those years. I have the original box but it doesn't mention year of production or place beside what i see on the binoculars. On the objective end of the center post will be stambed your 10-digit serial#. the 1st and 3rd digits indicate the year of manufacture.